His pro-Israel advocacy ramped up upon entering college, where he became president of both American Students for Israel and the Jewish fraternity AEPi. Burt’s affinity for Israel led him to Israel Bonds. His introduction to the organization came via the Cotillion Ball, sponsored by Israel Bonds Chicago, where he brought his then-16 year old daughter Lynn, together with the rest of his family. He brought his two other daughters, Diane and Teri, to subsequent Cotillion Balls. Burt cites l'dor vador – from generation to generation – as a motivational factor in his efforts on behalf of the Jewish state. “Helene and I strive to inspire the next generation on the importance of a strong, prosperous nation of Israel, now and forever,” he says. He takes pride in the fact that “We have accomplished this meaningful objective within our own family. 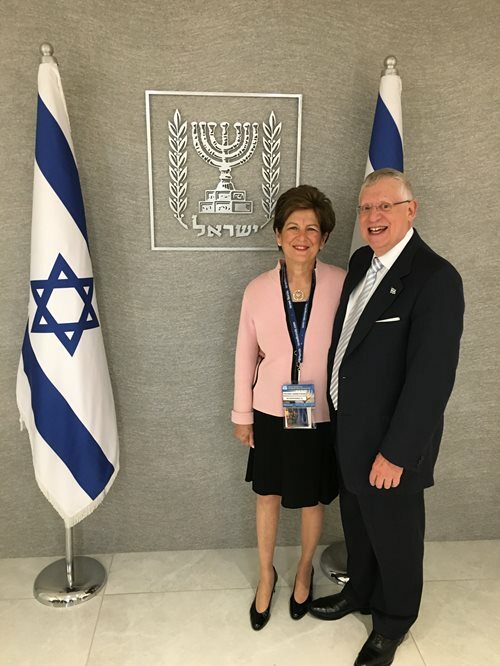 My wife Helene and I are on the Israel Bonds national board of directors. 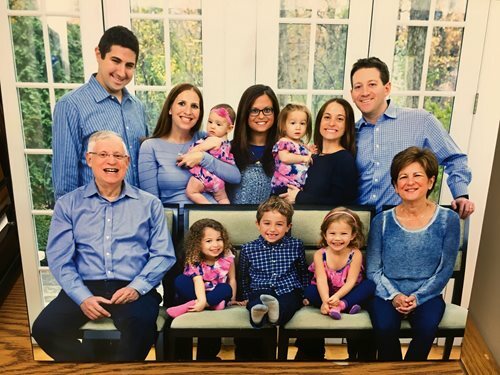 Our daughters Lynn, Diane and Teri are all Zionists who actively support Israel, and Teri is also Israel Bonds New Leadership chair in Chicago.” He notes that his son-in-law, Adam Grossman, is assistant director for the Israel Bonds Midwest region, and another son-in-law, Jonathan Welbel, is involved with numerous Jewish organizations. Together with Helene and Teri, Burt was a participant on the April Israel Bonds delegation celebrating Israel’s 70th anniversary. “We were able to go to Israel with fellow Bonds supporters from all over the world and share a common appreciation for Israel,” he says with pride.